The night we have all waited for has arrived. Tonight, the Oscars will be on. 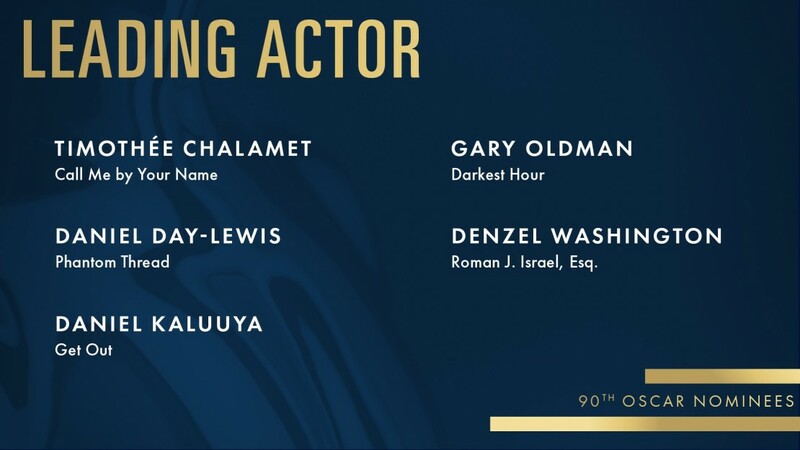 This is the most uncertain Oscars in years. I am pretty sure I'll only get half of the winners right. 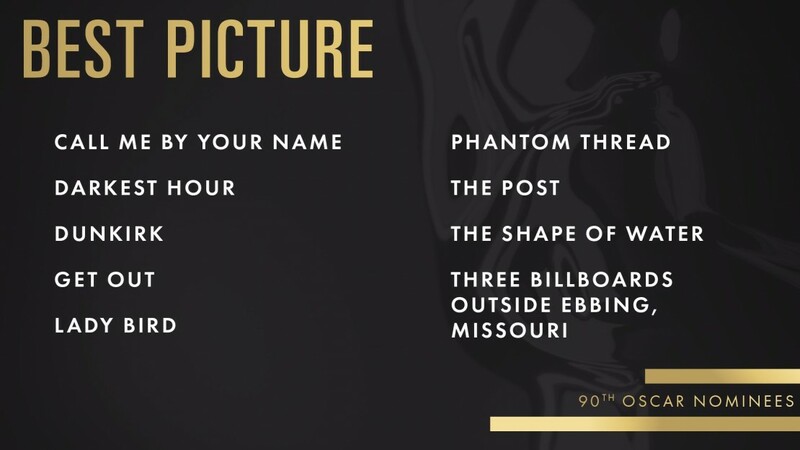 Here are my predictions for all the categories, but this year, I will go in reverse order from the past 2 years, starting with the shorts & ending with Best Picture. Let's get it! I haven't seen any of the shorts, as the screenings for the documentary shorts were few & far between. 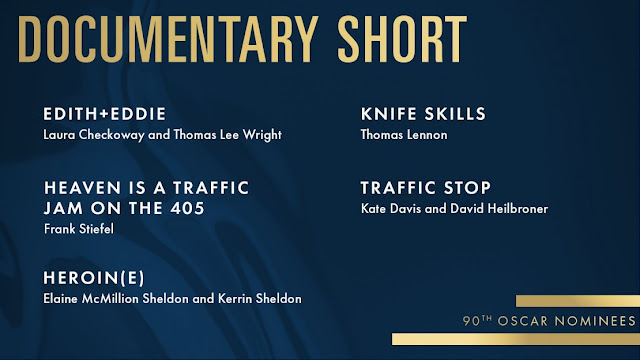 However, I am biased towards Edith+Eddie, as I have heard there is a Detroit area connection to the short. For the first time, I was able to see all 5 of the Oscar-nominated animated shorts. I loved all of them. 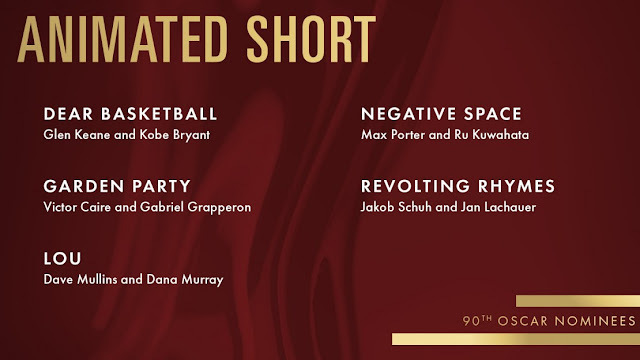 Also for the first time, I was able to see all 5 of the Oscar-nominated live-action shorts. I thought all of them were great. 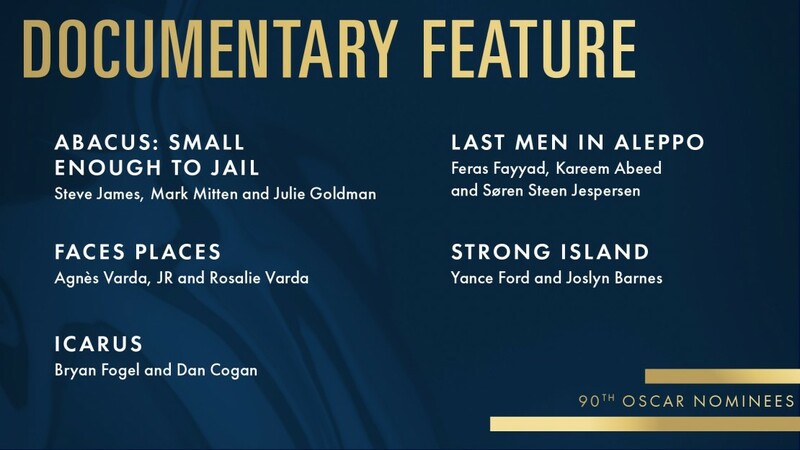 Sadly, I've been unable to see any of the documentary nominees, as only one was in theaters near me, but it was almost an hour away, & I haven't had time to watch the other nominees, which were either on Netflix or on demand. But one of them has piqued my interest, & I hope to watch it soon, & that one will be the winner. 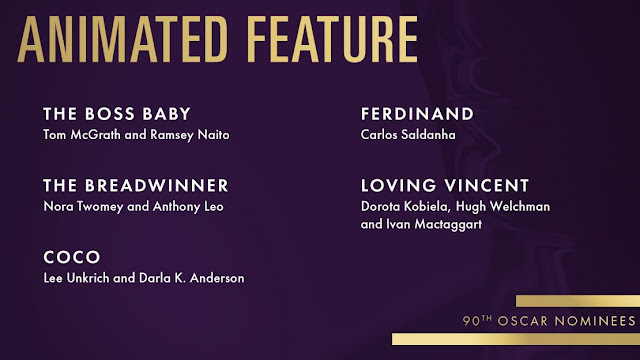 I've seen 3 of the 5 nominees (Coco, Loving Vincent & The Boss Baby). 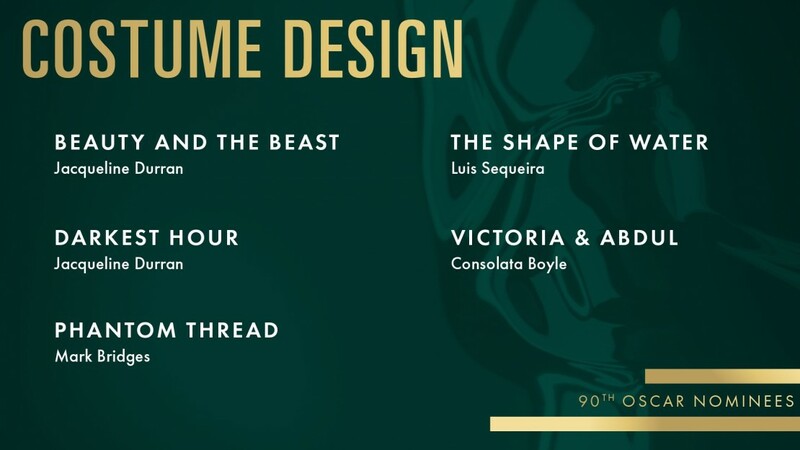 I'll never understand why The Boss Baby was nominated. That was one of the worst films of 2017. The Lego Batman Movie should have been nominated instead. 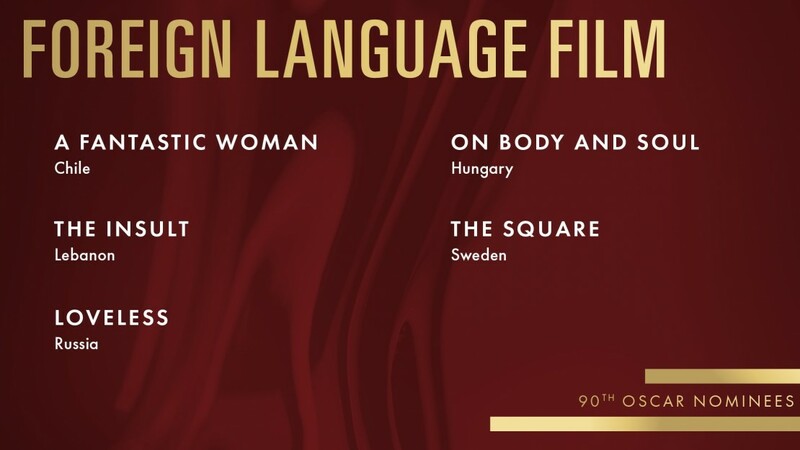 I've seen 2 of the 5 nominees (A Fantastic Woman & The Insult), which is the most I've seen ever before the Oscars. I haven't watched On Body & Soul on Netflix yet, I didn't see The Square when it was in theaters, as the closest theater showing it was almost an hour away (but I do own it on DVD now), & Loveless will not be in the Detroit area until March 23. All of the songs here are great. But one stands out to me: Sufjan Stevens' Mystery of Love from Call Me by Your Name. It is just so beautiful. All of the scores here are excellent. 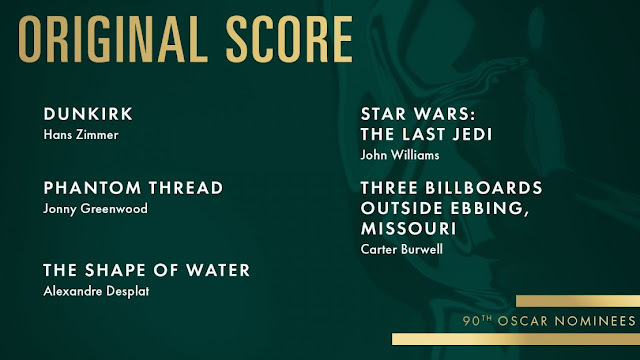 Dunkirk's score is pulse-pounding, Phantom Thread's score is classically-inspired, The Shape of Water's score has an underwater feel to it, Star Wars: The Last Jedi's score is one of John Williams's best, & Three Billboards Outside Ebbing, Missouri's score is reminiscent of Carter Burwell's past scores for films by the Coen Brothers. All of these films had great visual effects. 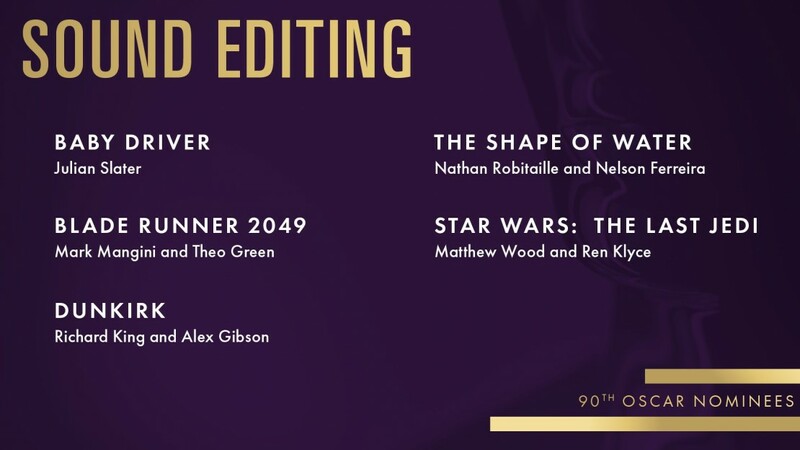 But 2 stand out: Blade Runner 2049 & War for the Planet of the Apes. 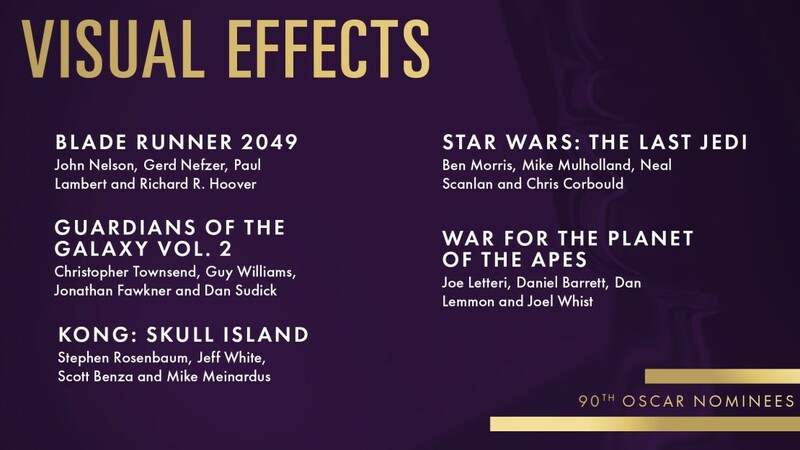 Blade Runner 2049 had seamless CGI & practical effects, while War for the Planet of the Apes had excellent motion-capture effects. Sound mixing is the process of mixing the sounds with the film, & leveling them out to sound crisp & clear. 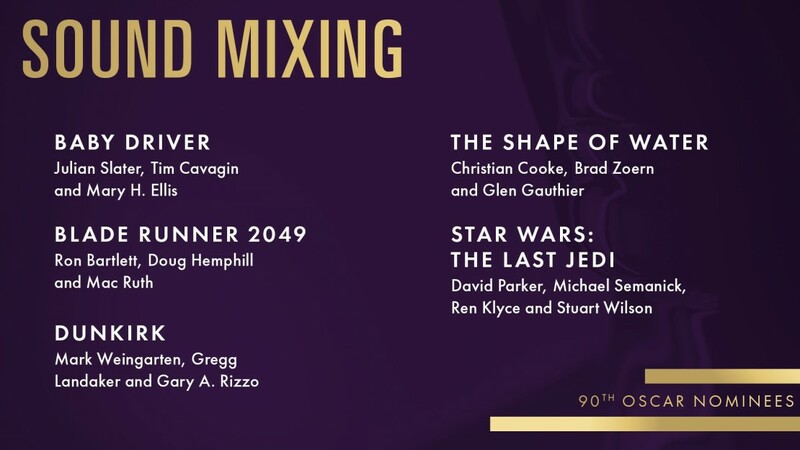 All 5 films had great sound mixing, & equally deserve to win. But one deserves it the most. Sound editing is the creation of sounds for a film. All 5 films here had great sound editing, & equally deserve to win. But one deserves it the most. 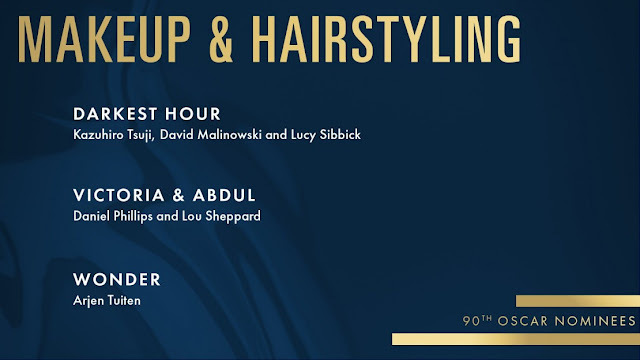 Darkest Hour & Wonder both had excellent makeup & hairstyling, but Victoria & Abdul's makeup & hairstyling was not Oscar-nominee-worthy. I, Tonya really should've been nominated, & The Shape of Water should've made the shortlist. 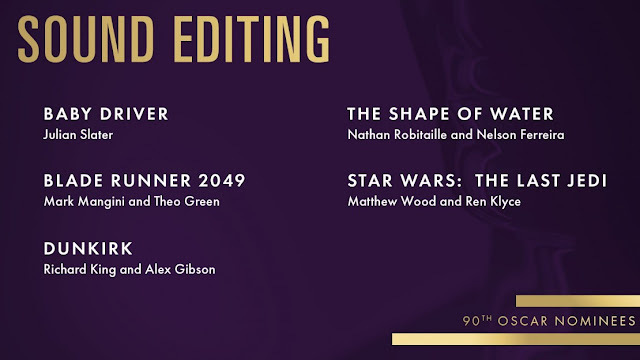 Also, there should be 5 nominees in this category instead of 3. The 5 nominees had great production design, but Blade Runner 2049 & The Shape of Water had some excellent production design. 4 of the 5 nominees had excellent costume design, but Phantom Thread had some of the best costume design I've ever seen. Every costume in the film was a work of art. Film editing is the process of making the film into a finished product in post-production. While Three Billboards Outside Ebbing, Missouri was well-edited, it doesn't really fit here. 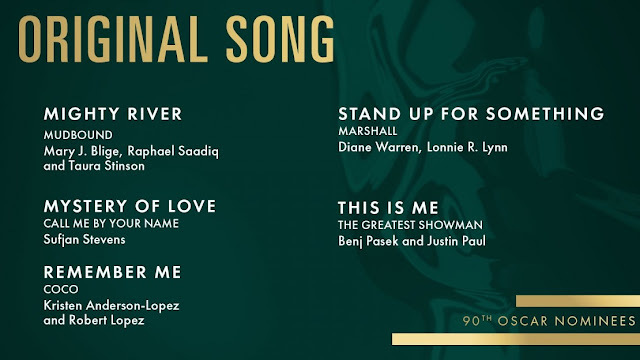 I would have nominated Get Out in its place. The Shape of Water was excellently edited. But Baby Driver, Dunkirk, & I, Tonya had some amazing editing. 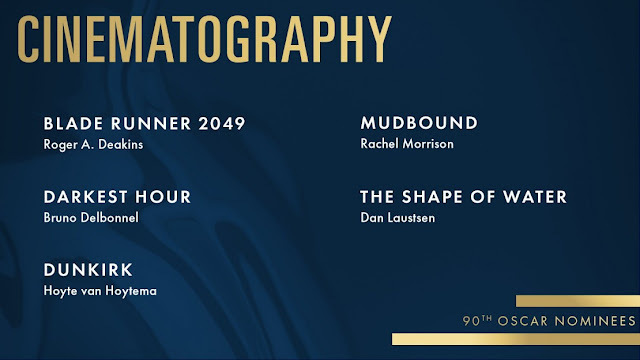 With Mudbound's well-deserved nomination in this category, Rachel Morrison became the first woman to ever be nominated for Best Cinematography. Darkest Hour's cinematography was well-done, I personally wouldn't have nominated it. I would've nominated Get Out instead. Dunkirk's cinematography was a welcome return for 70mm film. The Shape of Water's cinematography was beautiful, with such an abundance of green, giving the film an underwater tone. But Blade Runner 2049's cinematography is some of the best ever. Every shot is immaculate. 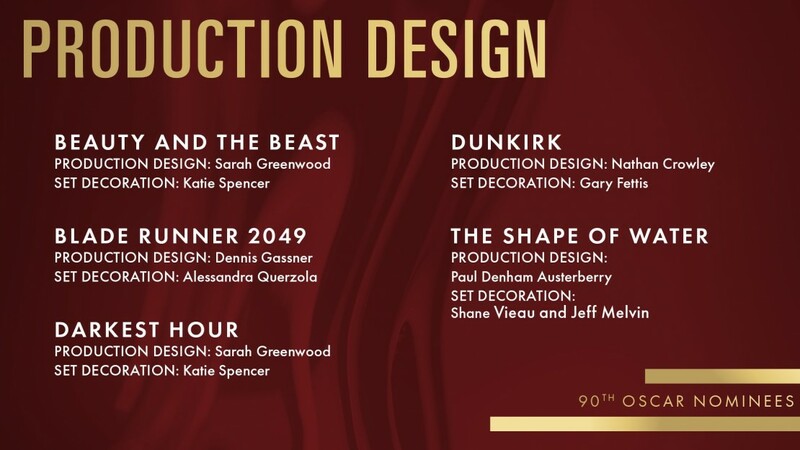 And if it does win, Roger Deakins will win his first Oscar for Best Cinematography, after 13 Oscar nominations without a win. Every film here had an amazing screenplay & stayed true to their source material. But Call Me by Your Name's screenplay was a once-in-a-generation screenplay. It was so beautiful & realistic & full of heart. 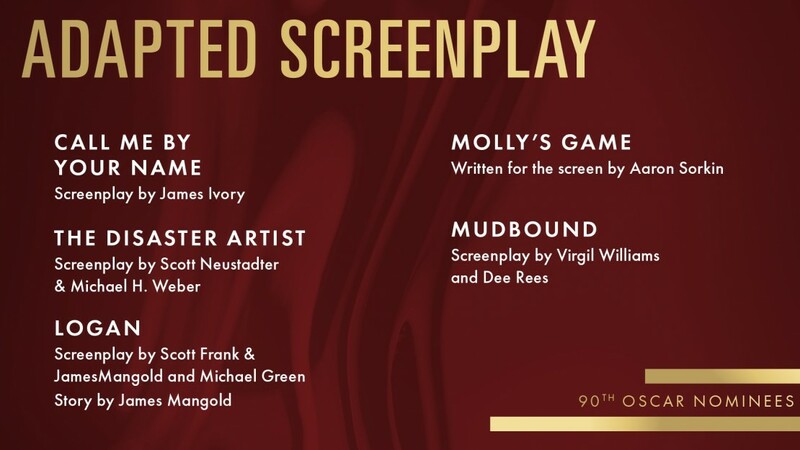 All of these films had some great screenplays. Get Out & The Shape of Water had some of the most original screenplays I've ever seen. Three Billboards Outside Ebbing, Missouri was full of some brilliant dialogue. And The Big Sick & Lady Bird felt so real & had so much heart. These 5 nominees all gave great performances. 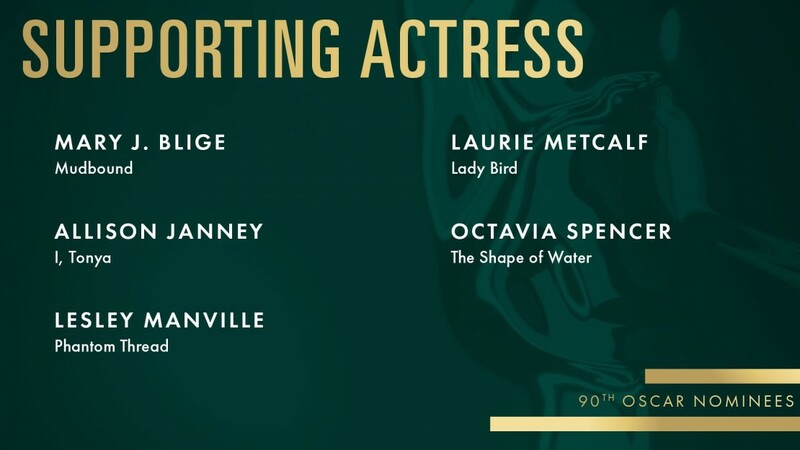 But 3 stand out: Allison Janney, Lesley Manville, & Laurie Metcalf. This is the first time since 1991 where 2 nominees in this category were from the same film. The 5 nominees all gave great performances. 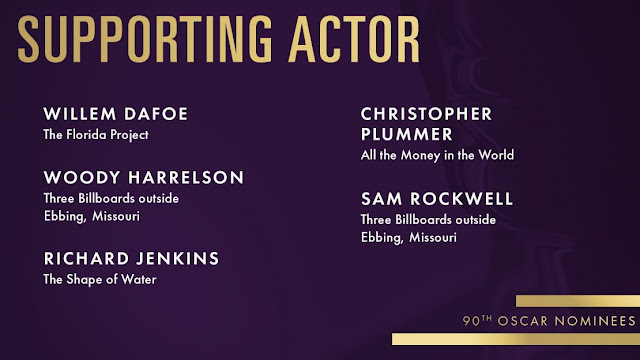 But 2 stand out: Willem Dafoe & Sam Rockwell. All 5 nominees were amazing (although I wouldn't have nominated Meryl Streep & instead would've nominated Vicky Krieps for Phantom Thread). But this category is just about locked. 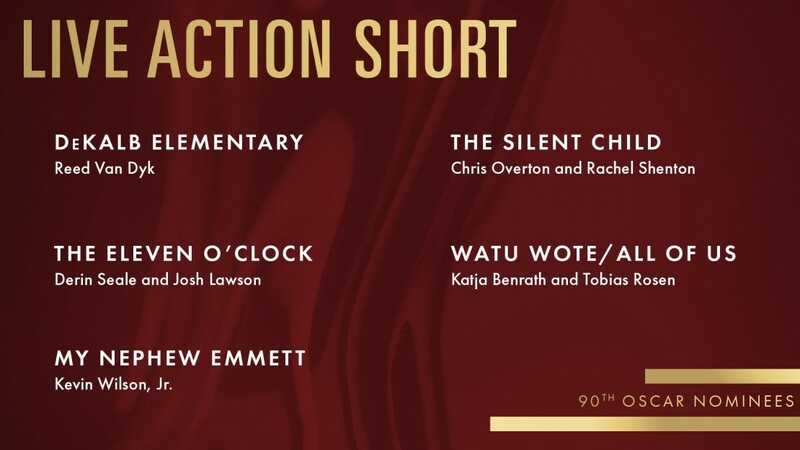 All 5 nominees were amazing. I've warmed up to Denzel Washington's performance in Roman J. Israel, Esq. (along with the film), & I'm not as upset about the nomination as I once was. But this category has been locked for a long time. When you look at how well a film is directed, you should look at how scenes fit with the film & how the characters react to events in the film. 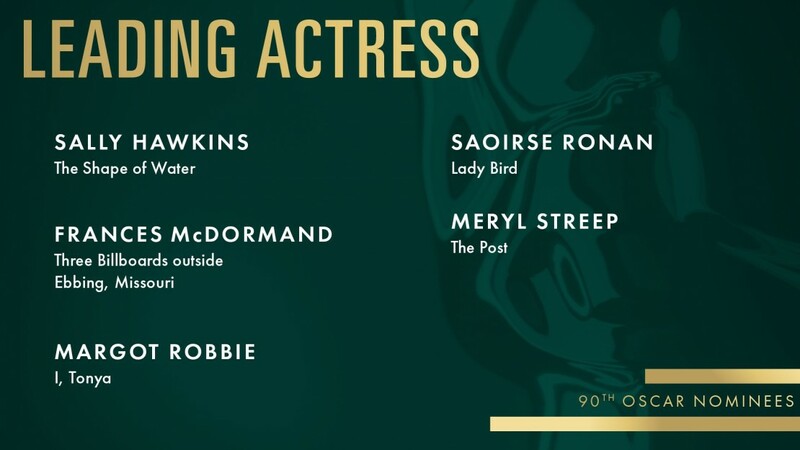 All 5 nominees are more than worthy of a nomination here. 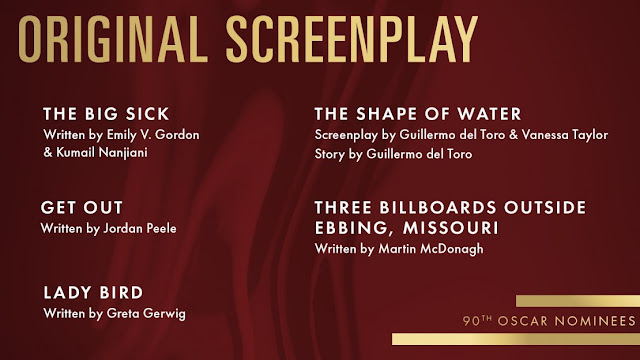 This is one of the best lists of Best Picture nominees in a long time. All of these films are in my top 25 of 2017. 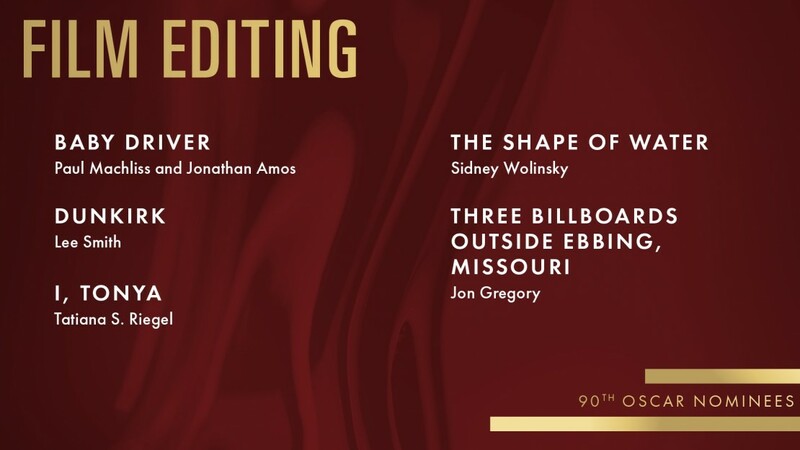 It is also the most uncertain list of Best Picture nominees in a long time. 3 of these films could easily win Best Picture. I would be happy with a lot of these winning. There is a big chance my prediction will be wrong. But I'm going with my gut here. 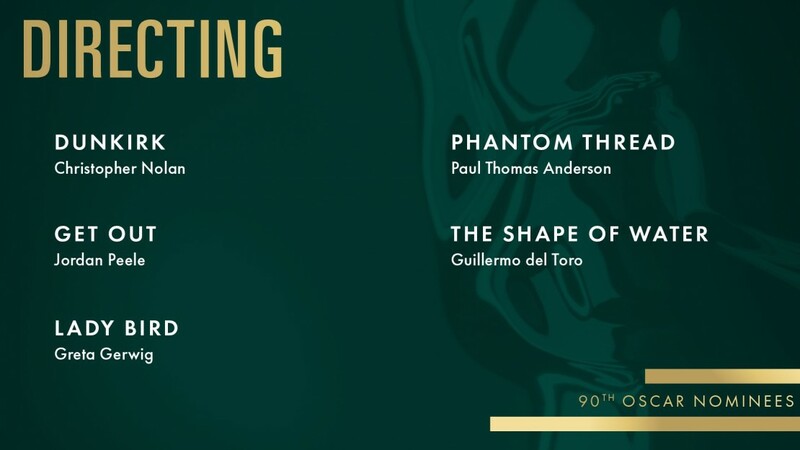 Well, these are my Oscar predictions. Check back throughout the night to look if I was right or wrong on my predictions, & don't forget to watch the Oscars tonight at 8pm on ABC!